Councilors Gibson, Peña, and Winter co-sponsored Gender Pay Equity Legislation that was signed by the Mayor on May 21, 2015. 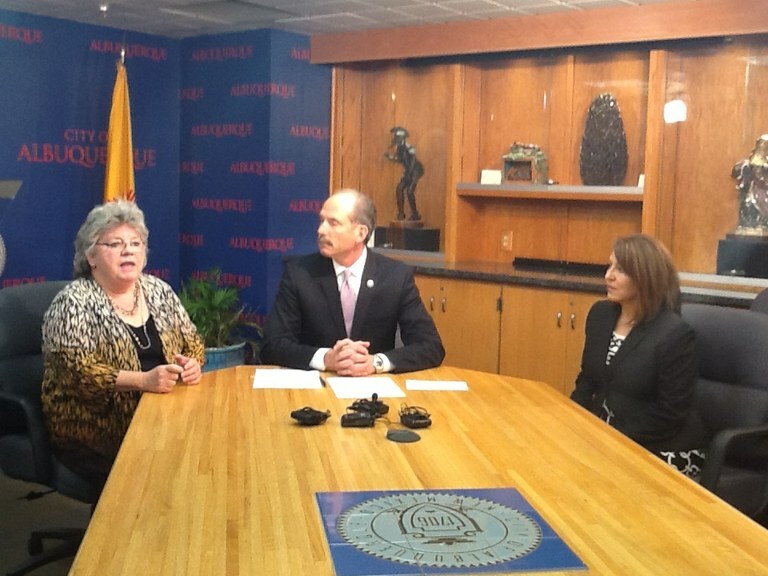 Councilor Gibson joined Mayor Berry today at a press conference for the signing of Gender Pay Equity Legislation. "I am thrilled to see this legislation move forward. I see this step as a good place to start," said Councilor Gibson. Councilors Gibson, Peña, and Winter co-sponsored Gender Pay Equity Legislation (O-15-47) that gives a 5% preference to companies that have Gender Pay Equity.